A few weeks ago we had some friends over for brunch and I decided last minute that I wanted to whip up a cocktail to go with our meal. I keep a pretty well stocked bar cart, so my options were wide open to anything that would pair with the citrus I had on hand. 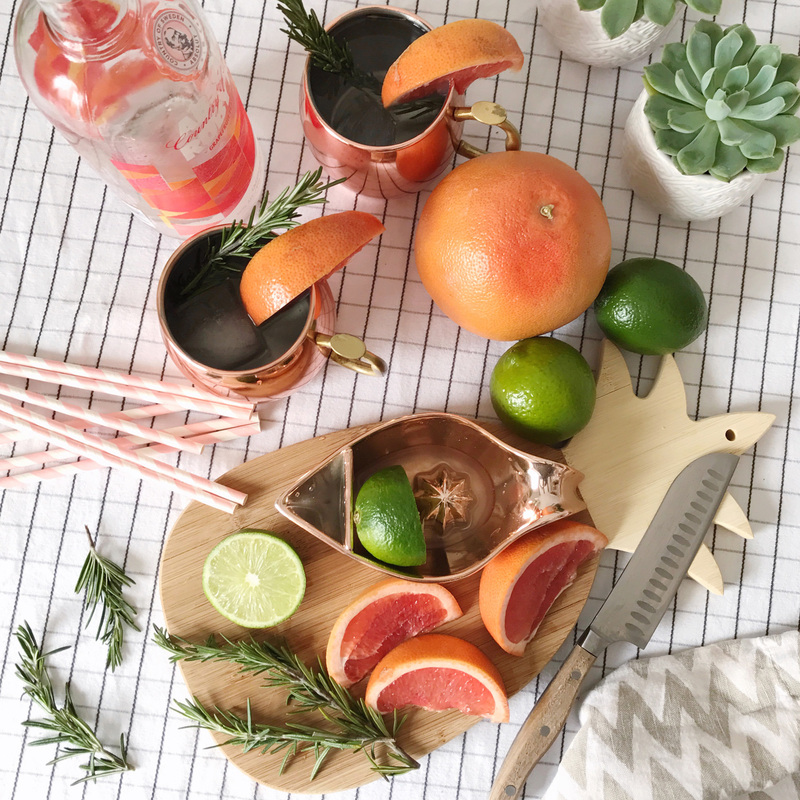 A juicy, bright grapefruit was on my counter, and a few limes leftover from a recipe my husband had made. By chance I popped open the freezer and saw I had a bottle of grapefruit vodka that must have been in there since last spring before I was pregnant. 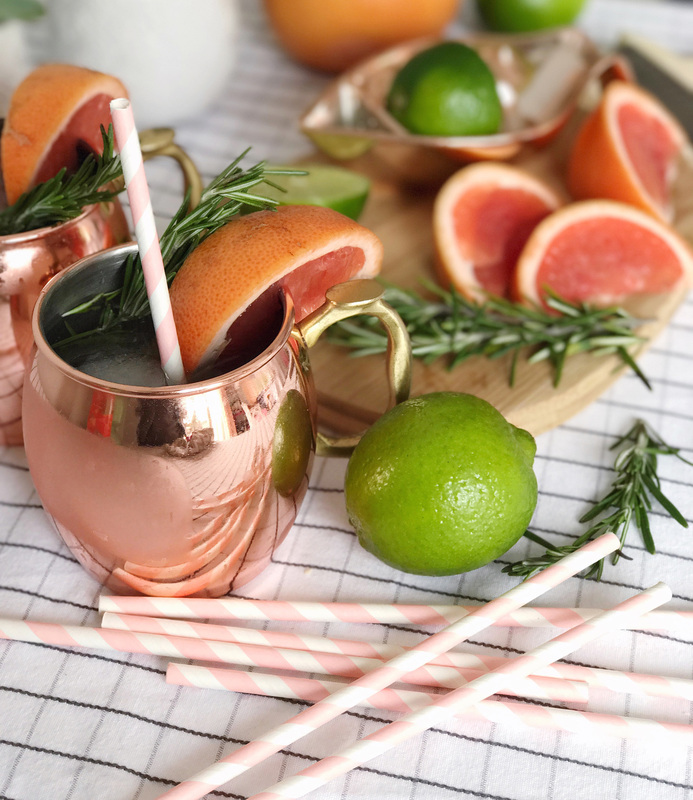 With these ingredients in mind, I had my eye on a Moscow mule with a twist! 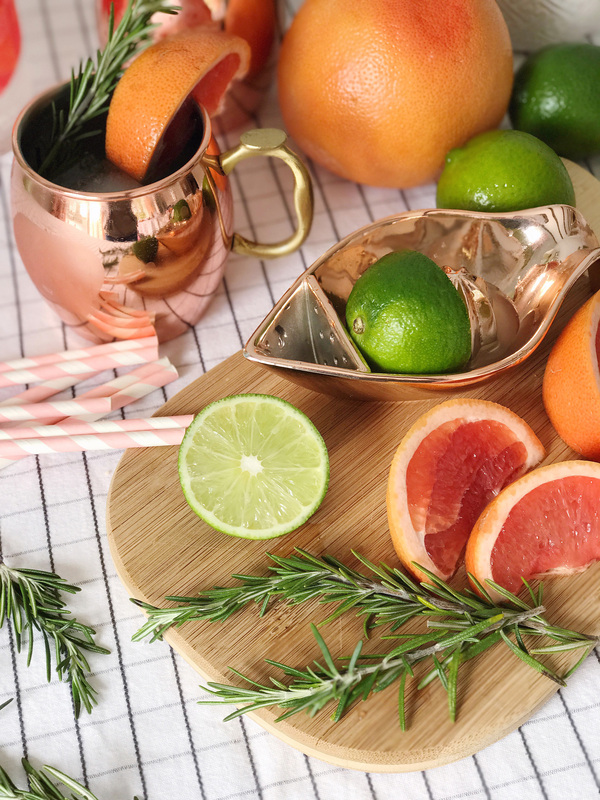 I used the grapefruit vodka and fresh citrus to mix up a tart-version of this classic drink, and finished it off with a few springs of rosemary and some fresh grapefruit wedges for the prettiest looking cocktail. These are going to be on heavy rotation this spring, I’m hooked! 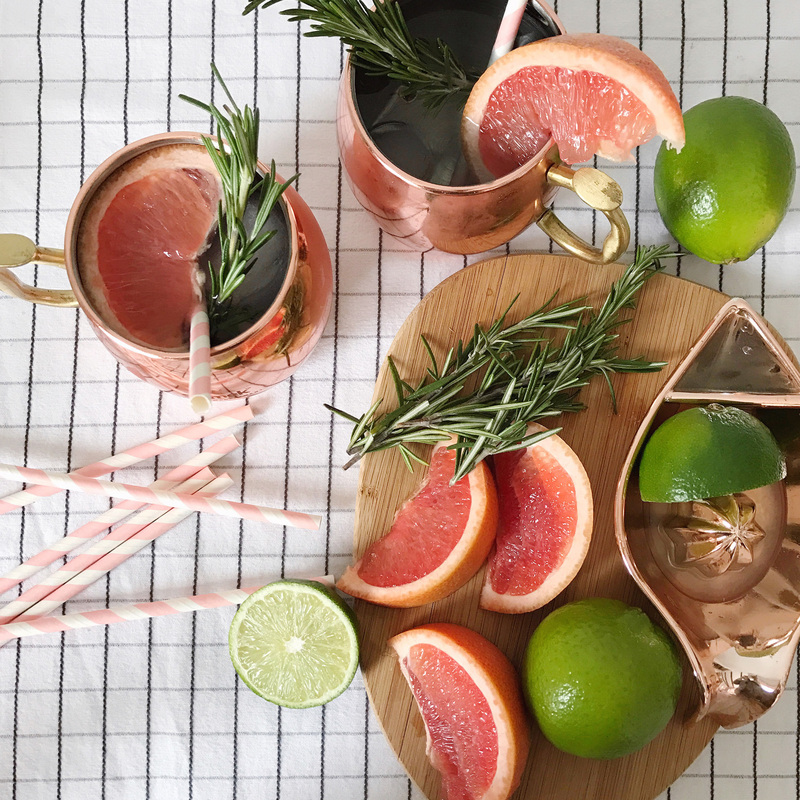 Combine vodka, lime juice, and grapefruit juice in a mule cup over ice and stir. 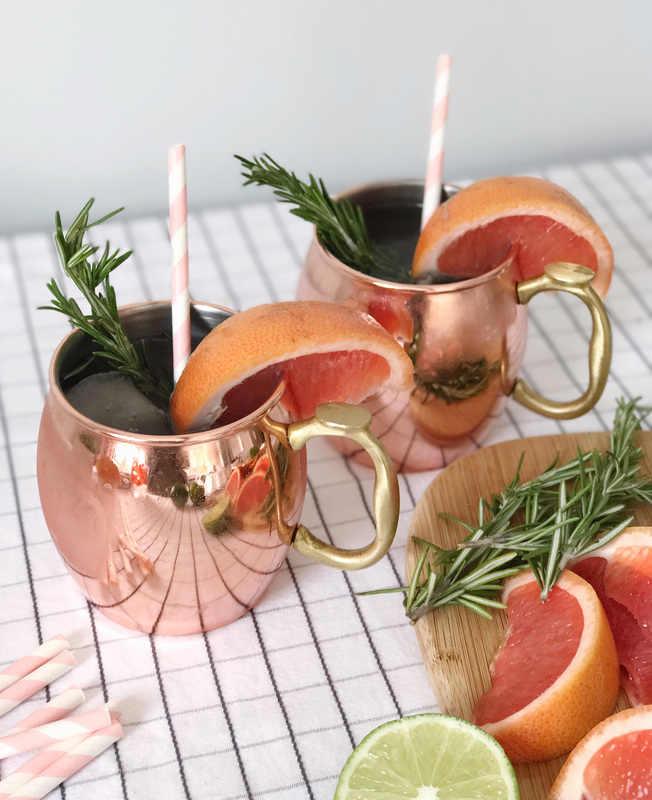 Top with ginger beer and garnish with rosemary and grapefruit wedges. Tips for Researching Baby Gear. 48 Hours in Vermont. 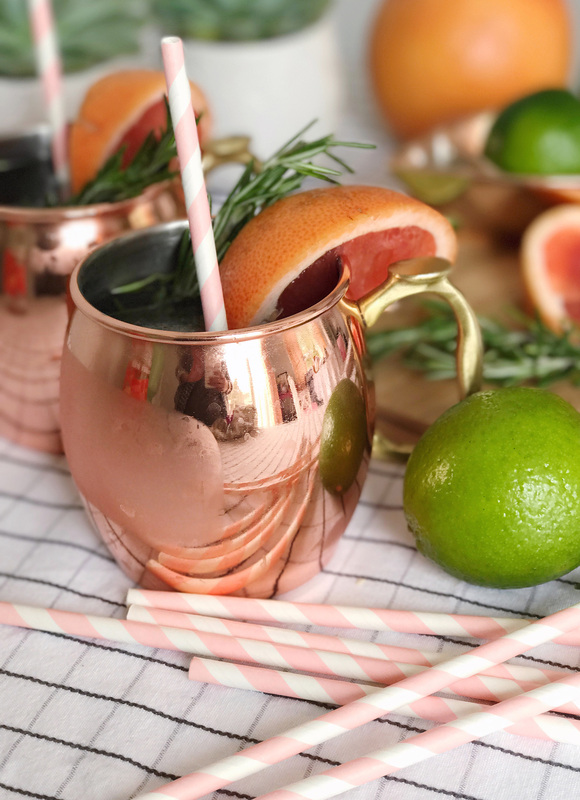 One Response to "Grapefruit Rosemary Mules."